I have been a Christian for over 40 years. I grew up in a church that taught certain ideas based on a widely popular theology of the day and I never questioned that until I left for college and started studying on my own. In college I began to hear more and more about God's grace and mercy. Those two things drew me in... I had to know more about these ideas. I joined a local church there in Abilene and attended like I had growing up but I began opening my own Bible more and tuning into some teaching on a local Christian radio station. I started having spiritual conversations with other students. I began to pick up books on these ideas by theologians and comparing what they taught to what my Bible actually said. The more I studied the more important I realized the study of God was. Theology is just that... the study of God. As Christians we are commanded to study and know God over and over again through the Bible. It breaks my heart to hear Christians say things like, "I don't like theology because it just causes arguments." or "Theology is really not important as long as we just love God and love people we will be ok." The study of God is how we get to know who He is and His nature and will for us. The world is full of misinformation and misconceptions on the study of God and His word. It is so important for us to know the truth... know what the Bible teaches us regarding Him and His Son Jesus. The world does not hold those answers for us. My mission to know Him truly started when I sat in that first Old Testament Bible Class at Hardin Simmons University and it continues still. It is a lifelong journey that every believer should take. This book is a great start. It is chock full of scripture and church history! R. C. Sproul does such a beautiful job using scripture to show us what reformed theology is all about and why, based on that scripture, it is where he falls on the theological spectrum. I have come to so many of the same conclusions as I have grown as a Christian over the years. This is what I believe! Sproul's writing is so thoughtful and logical. He spends the first five chapters showing us where the idea of reformed theology started and how it developed over time through men like Augustine, Martin Luther, and John Calvin. He shares how Luther came out of the Catholic tradition and the conclusions he came to based on his study of scripture. 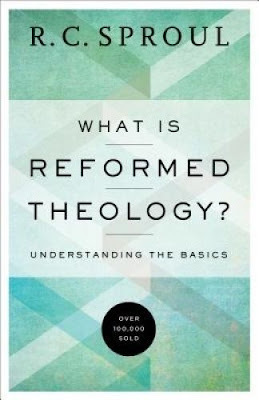 The second half of the book is spent addressing the five basic tenets of Reformed Theology using the TULIP acronym (check out the link for a series on this) to open up the dialog. I won't go into detail here on each one because the book is so beautifully thorough on each point. I encourage you to read the book for yourself to learn more about why churches teach certain ideas. It might just answer some questions or clarify some ideas you have wondered about yourself. Sproul has a real gift for bringing this history and explanation into layman's terms so that everyone can read and understand these ideas. Martin Luther was doing the same thing when he tacked his 95 Theses on the church door. These men felt that the masses should be able to know and understand the things of God 500 years ago, today and all the years in between. As we are coming upon the 500th year since Luther's stand for reformation took place this book and the ideas contained in it are as relevant today as they were then. This book was sent to me free of charge from Baker Books and all they ask in return is an honest review. Learn more about R. C. Sproul and his Ligonier ministry. He has written many great books over the years and as we come into this 500th year celebration of Reformed Theology he has some great resources to check out. He also has a daily podcast/radio broadcast that you might be interested in checking out.